The coming cold weather is actually a nice season to enjoy barbeques in the sun. So I decided to try out barbecue. This chicken has lovely flavours of the sun-dried tomatoes, chillies and lime. 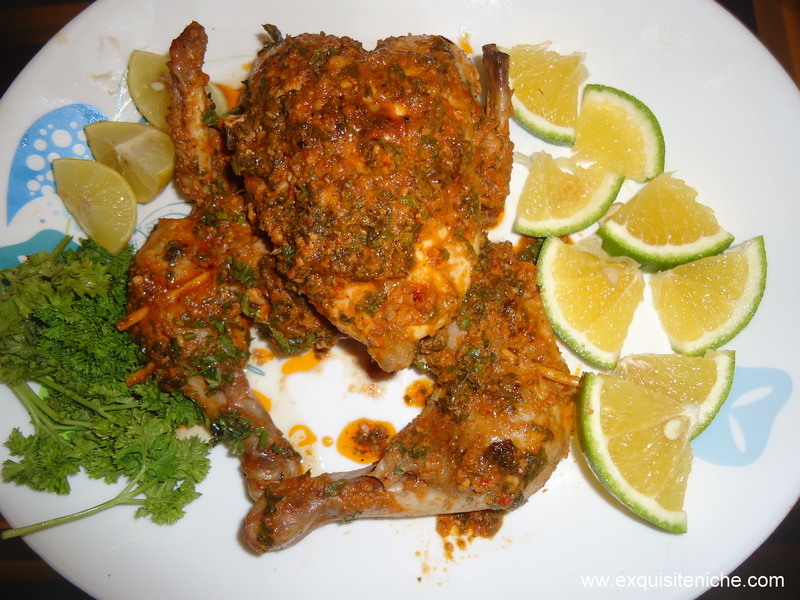 Unlike Indian chicken which is rich in spices, it is comparatively on a milder side but the flavours are aromatic and tasty. This continental chicken is scrumptiously juicy and tender and mildly seasoned. The taste of the sun-dried tomatoes and butter is to relish for. It is important to cut the chicken poussin well. So follow the steps very carefully. It looks tedious but it’s actually simple. Place each poussin on a chopping board, keeping the breast side up. Press down firmly with your hands to break the breastbone. 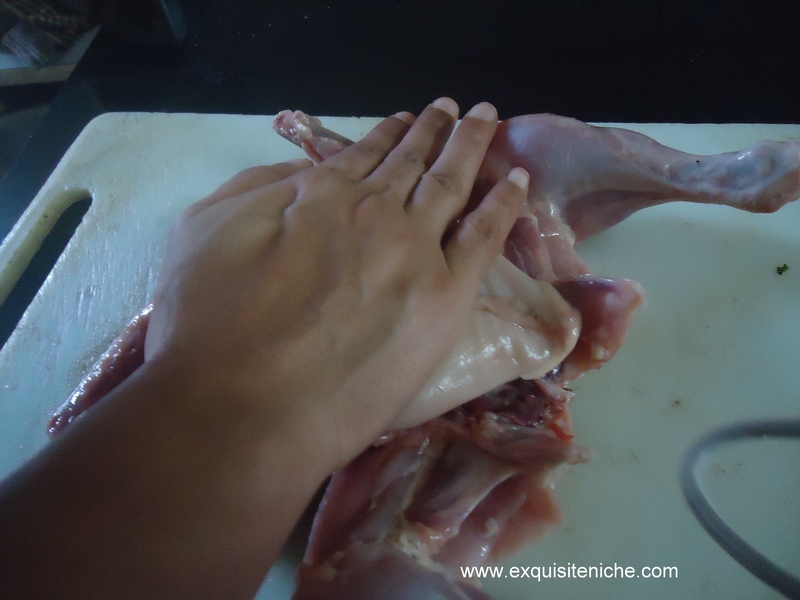 Turn the poussin over, with the help of a knife cut down either side of the backbone. Remove it and discard it. Turn the poussin over again, now the breast side up, and flatten gently. Now mix together the butter and sun-dried tomato paste. Now some parsley, lime rind, lime and lemon juice and chilli sauce. Spread about three quaters of the mixture under the skin of poussins, smoothening out evenly over the surface of the flesh. 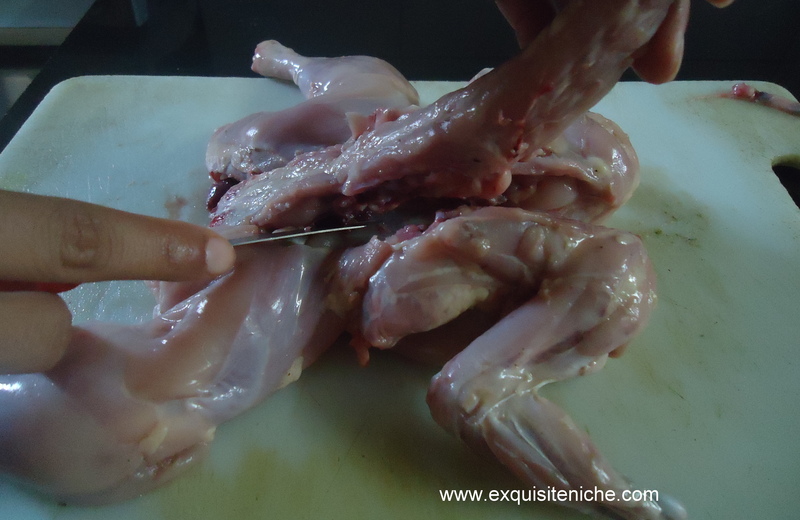 It is essential to hold the poussin during cooking, thread two bamboo skewers through the chicken crossing the centre. 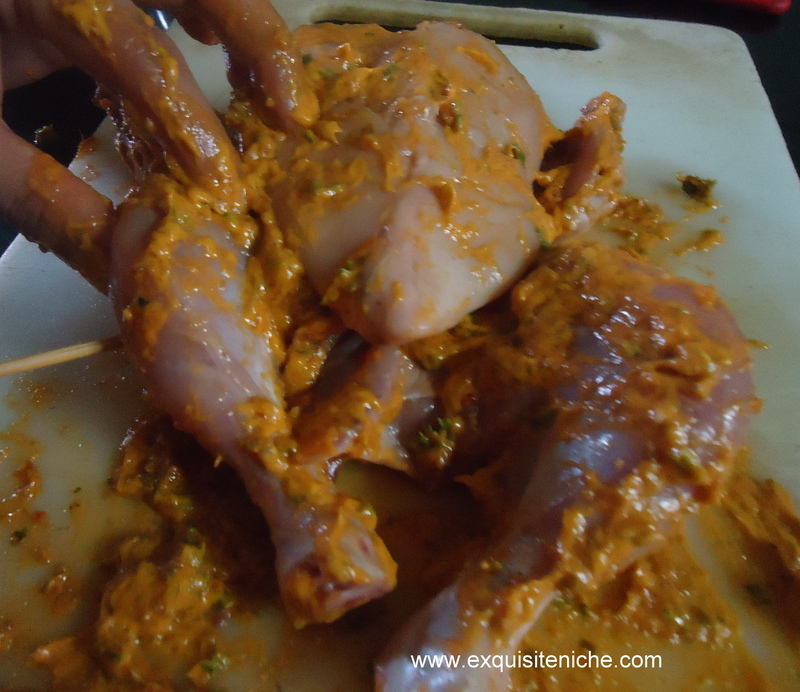 Each skewer should pass through the drumstick and through the wings on the other side. Now you can barbecue the poussin on a medium hot barbecue turning occasionally, for 25-30 minutes, untill pick and juicy. I used an electric tandoor which took about 15 minutes. 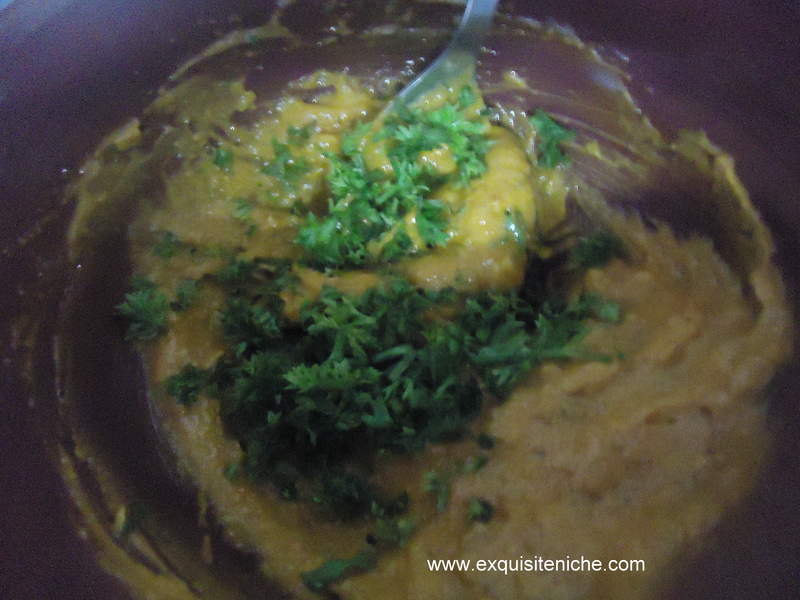 Now garnish with lime, lemon and parsley and don’t forget to sprinkle chat masala at the end.